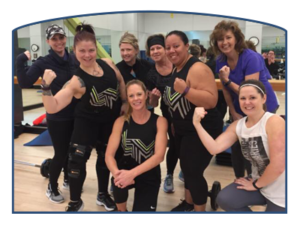 Try the workout that incorporates cardio, strength, core engagement, yoga positions, and stretching – all while improving your balance! 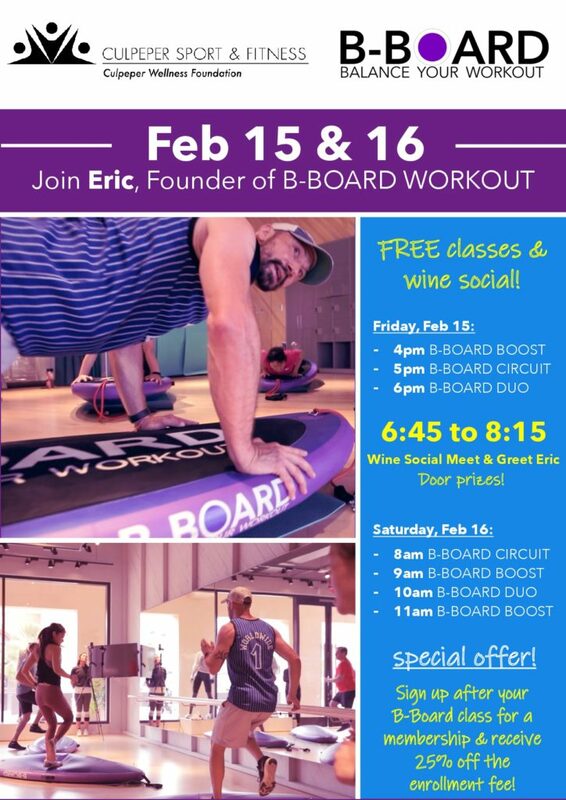 On February 15 and 16, Culpeper Sport & Fitness is welcoming B-Board founder Eric Vandendriessche to share his enthusiasm with our community – you’ll B-inspired! Take a class (or two!) on the versatile B-Board, meet Eric, enjoy a little wine and cheese … come have some fun! Bring a friend! Questions? Call the CSF Front Desk at 540-825-0000.